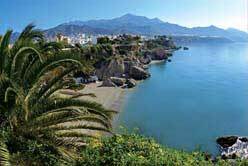 Nerja is a town of 20,000 inhabitants, situated on the Costa del Sol, fifty minutes drive east from Malaga, that still retains its traditional Andalusian character. It is surrounded by mountains and beautiful beaches. Its climate, with an average year-round temperature of 20f C, is ideal. Farming, fishing and tourism are its main sources of wealth. Its most ancient historical roots are in the Palaeolithic age, but it owes its name and foundation to the Arabs, who called it NARIXA (meaning a spring of abundantly running water). 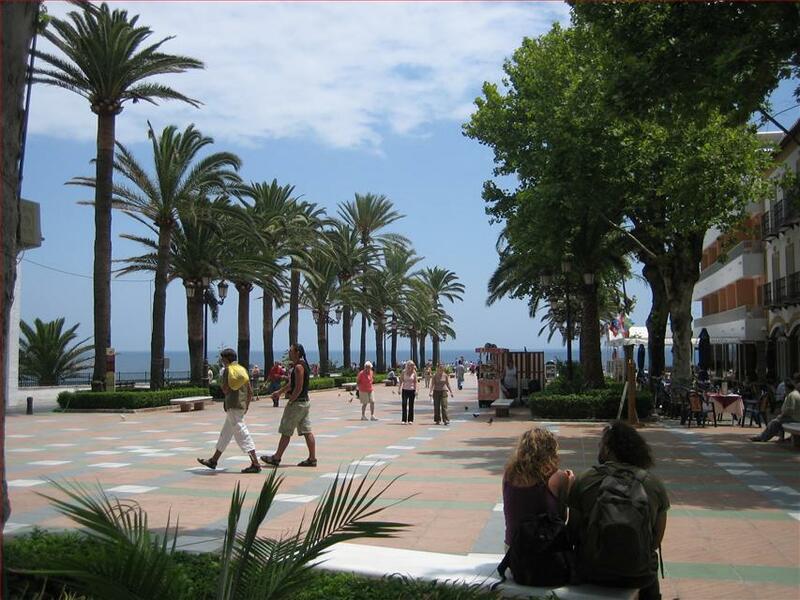 The friendly, hospitable people of Nerja, its traditions such as Carnival, Holy Week and the annual fairs and fiestas, together with its proximity to the important Andalusian cities of Malaga, Granada and Seville, make Nerja an ideal place to study our language and our culture. 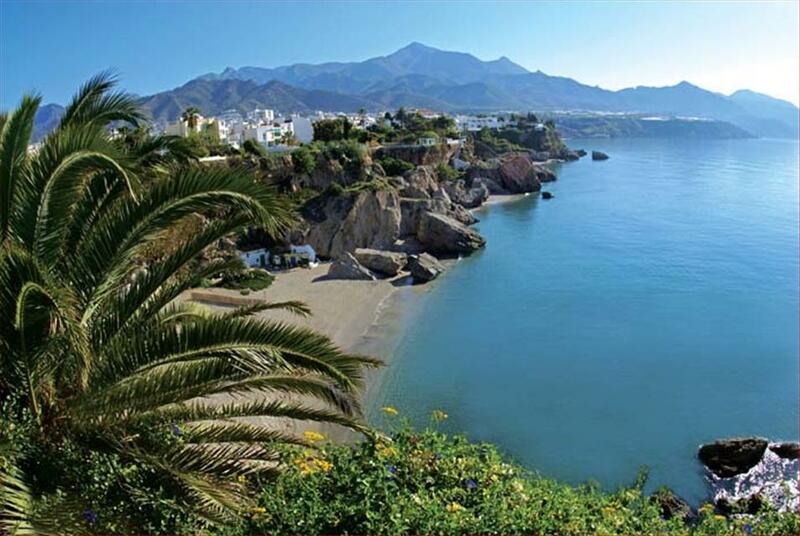 The famous prehistoric caves of Nerja and the many little white villages nearby are really worth visiting for their cultural interest and special charm. Being a Mediterranean coastal town, you can practice all manner of water sports, and also tennis, swimming, riding and walking, all of which are compatible with our intensive Spanish Courses. You can also spend your spare time visiting the bars and restaurants that specialise in regional cooking, as well as enjoying our traditional art: "el flamenco". Nerja has excellent hotels and services to offer, and altogether provides its visitors with a wonderful atmosphere. 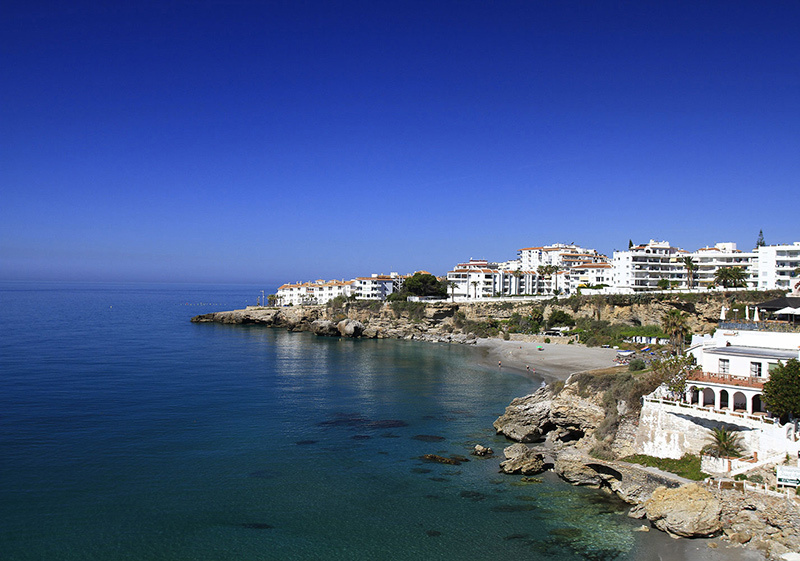 How to get to Nerja (Malaga)?